Cape Decking are known for their expert craftsmanship, great service and affordable rates. Palisade Fencing is a great fencing option for security and longevity. Our treated steel stands up to the harsh Cape weather. Wide range of sizes perfect for any application. Choice of colours and sizes. At Cape Decking, we always choose the best timber for the job. We’re experts at sourcing and working with top quality materials while remaining affordable. 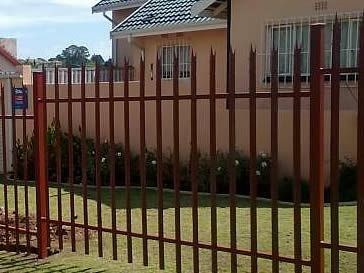 It doesn’t have to cost an arm and a leg to have a fence erected at your home or business. Contact us now to find out more!